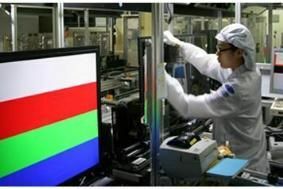 KOREA/CHINA: LG, Samsung start work on Chinese LCD TV factories as emerging markets become most important sales sector | What Hi-Fi? The announcements are a sign of the extra resources the two companies, in common with their Japanese rivals, are putting into so-called 'emerging markets'. And they can't come too soon: for the first time ever, total flatpanel sales in the July-September quarter were less in Japan, North American and Europe than they were in China, Asia (excluding Japan), Latin American, Eastern Europe and Africa. Total TV shipments were 50.51m units, but while sales in the established markets were up 11.4%, helped in no small part by Japanese domestic demand up 63%, shipments to the rest of the world rose 36.8%. And the Samsung plant in China will be part of its efforts to shore up its presence in emerging markets, where the two Korean companies dominate. In fact, Samsung LCD Business boss Wong-ki Chang, making the announcement, said that the Chinese project will be prioritised over its much-rumoured development of domestic plants able to handle 11th-generation glass. Meanwhile the big Japanese names are working hard to boost their shares in growing markets. Sony is almost doubling its sales personnel in India, where it leads the market ahead of Samsung, Panasonic is launching low-price LCD TVs in India, Malaysia and the Philippines, and Sharp is looking to double its sales outlets, and hopes to more than double its sales, in China.